Blank at one moment and alive with colours the next, it was the best magic that she had ever seen. and then wailed as she hadn’t been able to capture anything color. Poor baby! Though as a grandmom I’m not at all keen on babies watching TV so I’m glad it crashed. Ohh poor kid, I hope she’s not hurt. 🙁 I hope the baby is good! Oh dear! I hope the baby is fine. 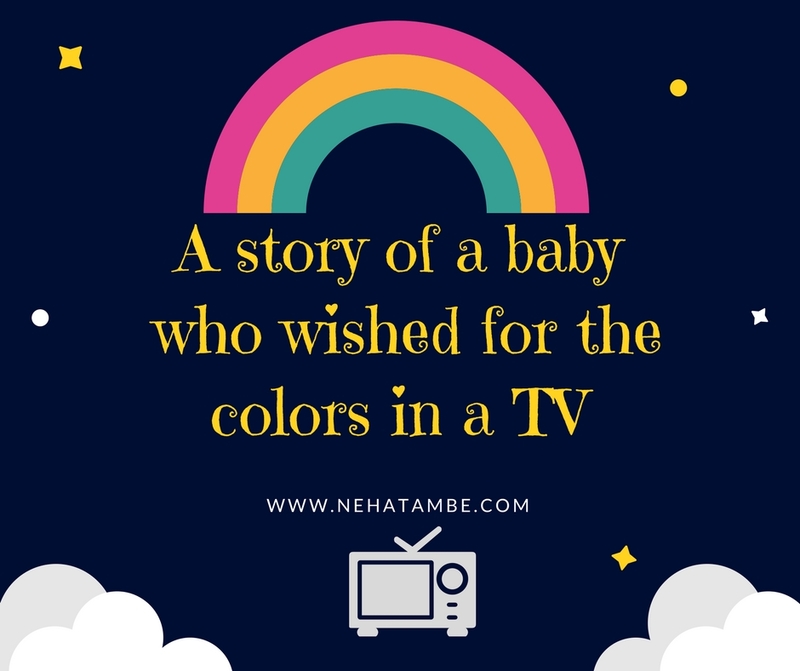 Loved the climax…..toddlers perspective is a real funny yet the most unanticipated of endings! Loved the climax…. toddlers perspective is real funny and yet the most unanticipated of endings! Oh …. poor kid !!! Toddlers are always mischievous.